Located on a large corner lot, this home will impress. Lots of living space in this efficient, split-bedroom plan. You are greeted when you enter to a large living room with a tile fireplace and offset formal dining room, then just around the corner you step into a beautifully remodeled kitchen which opens to a cozy den with a stunning stone fireplace and built-in entertainment center. This area also features newer windows. 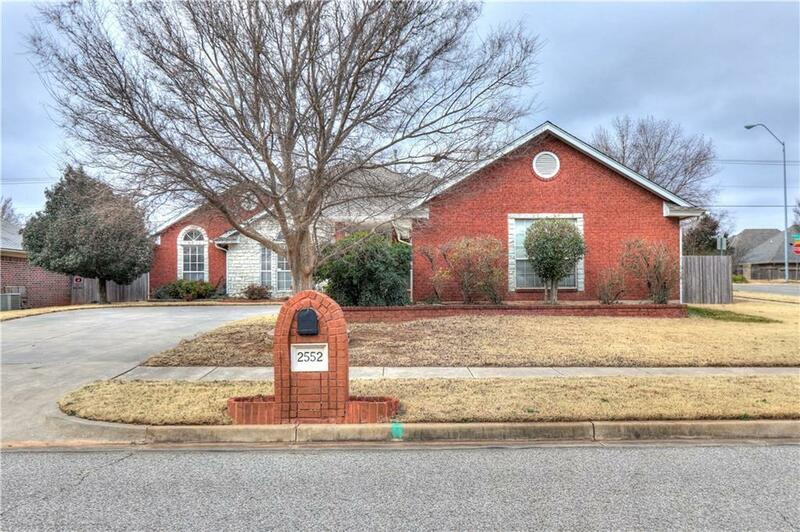 This home has been well cared for and features a number of updates over the past several years, including a new roof, fence, gutters, heat pump and AC in 2011, laminate flooring, whole home surge protector, new vinyl soffits, new insulated garage door, and more. You will love the storage this home offers and the over-sized laundry/mud room. Lovely home in a great neighborhood which offers a pool and clubhouse for it's residents. Don't miss this one!